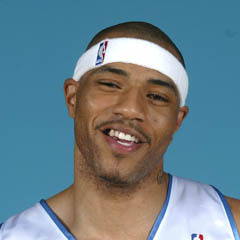 Shirtless Kenyon Martin is a professional player for the NBA. He is a power forward for the Denver Nuggets. His nickname is “K-Mart”.